One of the rules of thumb we find at Drink Spirits is that the prettier the packaging is on a spirit, the worse what’s inside the bottle typically is. There are, of course, a few notable exceptions to this rule (including most notably Dan Aykroyd ‘s Crystal Head Vodka) but in general it’s a pretty good rule of thumb. 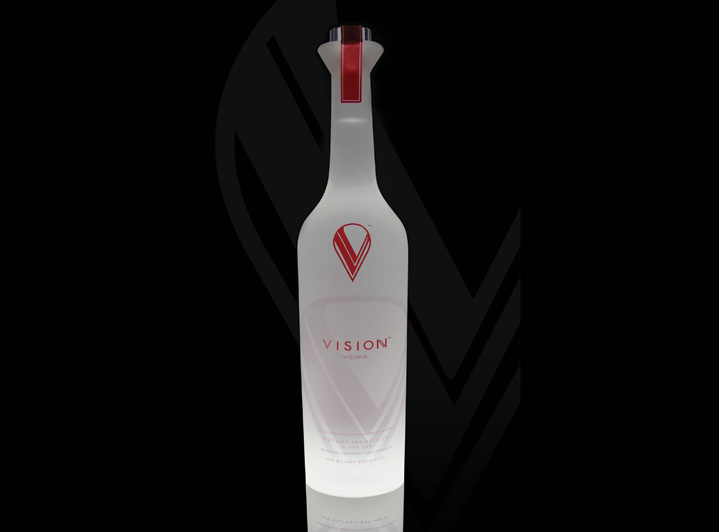 When we saw the bottle for Vision Vodka, we thought it was going to be another pretty looking vodka and little else. It’s not a wild assumption since the vodka comes from the Society Awards, the company that makes the statuettes for the Golden Globes, MTV VMA and Movie Awards and the Dancing with the Stars mirror ball trophy. From a packaging point of view, the Society Awards have done an outstanding job – the Vision Vodka bottle is striking and instantly conveys ‘premium’. We were extremely and pleasantly surprised to find that what’s in the bottle is as equally striking as the bottle itself. Vision Vodka (80 proof $29.99) – has a very soft and clean nose with faint grain notes and the slightest undercurrent of sweetness. The entry is very soft and slightly sweet. The sweetness builds in the mid palate where it is balanced out by a very nice grain note. The finish is fairly sweet with the slightest dash of heat, which gives the finish a nice balanced quality. The sweet notes linger for a little while, but the vodka ultimately cleans up and leaves the mouth very cool, a sign of quality distillation.